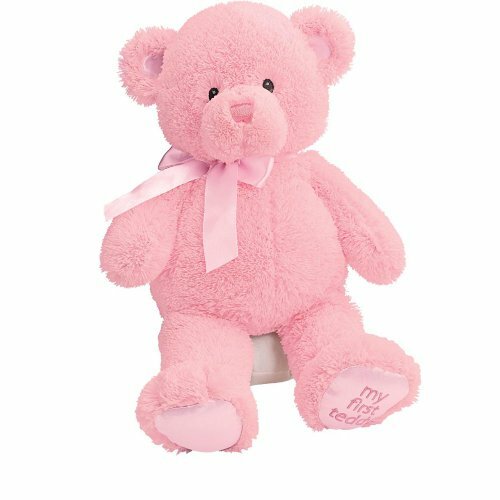 Your child will take the Baby My First Teddy-medium-pink brought to you by Gund pretty much everywhere. A list of characteristics are 15 inches tall, pink ribbon and embroidered satin patch. It's dimensions are 6"H x 11"L x 6"W. The bear comes in pink. The barcode for this fantastic item is 028399210299. I would like you to get the best price and service when acquiring a bear for your kids! Dimensions: Height: 6" Length: 11" Depth: 6"
Package: Height: 4.4" Length: 9" Width: 6.2"